Beautiful and historical Ocala, located in Northern Florida, offers everything you need to maintain a relaxing and convenient lifestyle. From entertainment and restaurants, to sightseeing and shopping, Ocala has unlimited options to choose from. With quick access to major highway I-75, Ocala residents only have a short commute to exciting activities such as Silver Spring’s Nature Theme Park and Appleton Museum of Art, both offering beautiful scenic views and educational experiences. Outgoing and adventurous Floridians will want to seek out the Canyons Zip Line and Canopy Tours, which include the longest zips over water in the United States! Residents will also find great locations to try horseback riding, including Cactus Jack’s Trail Rides, with guided rides for any skill level. Historic Downtown Ocala is also an ideal quaint square of unique restaurants, shops and entertainment. With live outdoor concerts, farmers’ markets, a water fountain park for the kids and unique events throughout the year, there’s truly something for every visitor. Situated in Marion County, Ocala also provides an outstanding school district for children of all ages, as well as a selection of colleges that include the College of Central Florida and Rasmussen. 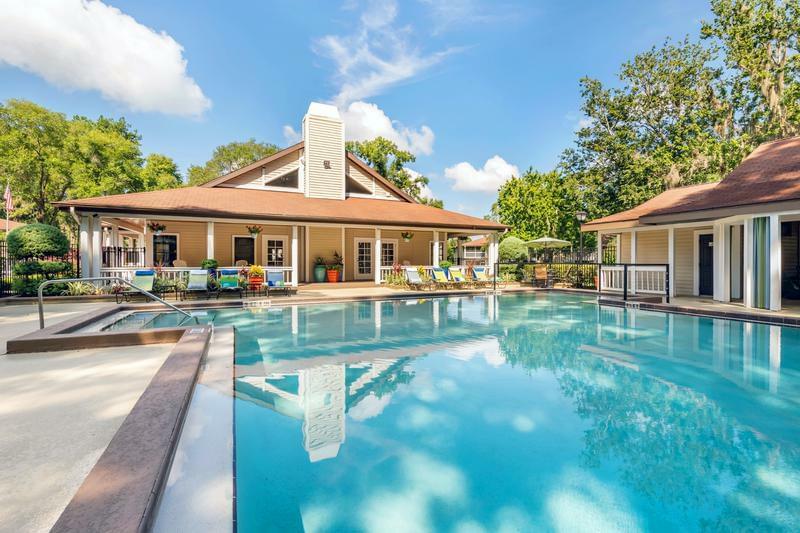 Whether you are looking for student housing or just a fabulous new place to call home, Aspen Square’s affordable apartments in Ocala, Florida provide great amenities and carefree living with 24 hour maintenance staff. With everything you need within short driving distance, choosing our Ocala, FL apartments for rent as your new home is a smart decision! You’ll feel right at home at Carrington Lane. Centrally located, you’ll be just a short drive from anything you’ll ever need. Apartments come in all sizes, with one to three bedroom floor plans ranging from 505 to 1,120 square feet. Each apartment features a full size washer and dryer with large walk-in closets in the bedrooms. The kitchen features a breakfast bar with granite-style countertops and wood-style flooring. You’ll quickly find that there is plenty of things to do at Carrington Lane. With a resort-style pool, picnic and grilling area, playground, and a firepit with an outdoor kitchen, you’ll be living the luxury lifestyle. For those looking to stay active, explore our fitness center, tennis court, sport court, yoga studio, or our walking trails. And if you’d ever like to test out your green thumb, head to our community garden. We can’t wait to meet your furry friends in our pet-friendly apartments for rent in Ocala, Florida. We accept breeds of all sizes and even offer complimentary dog obedience classes. If your dog wants to run around, feel free to take them to our off-leash dog park were they can release pent-up energy and play around on our agility obstacles. Learn about your new home and schedule a tour today!